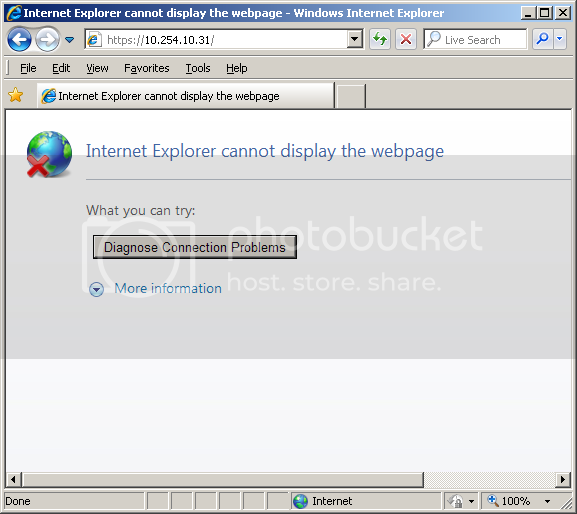 From client, I'll use IE to connect to both webserver by IP address. 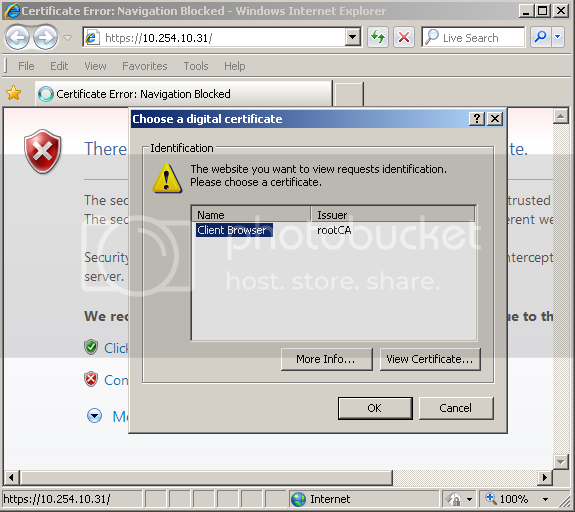 Of course, there will be error message because the both servers require client certificates. Generate the PrivateKey for client. 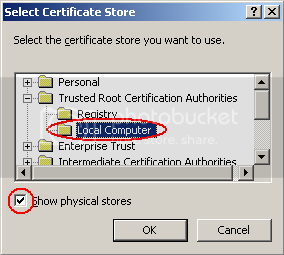 Generate the Certificate Request file for the client with the upper privatekey. Show the information of the Client Request file. Sign the Client.req by rootCA Certificate. Let have a check on it. 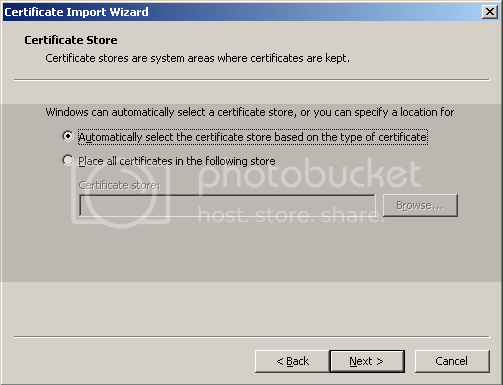 You need to convert this pair (Client.cert & Client.key) into .pfx format to make it usable. Enter some password to protect it. 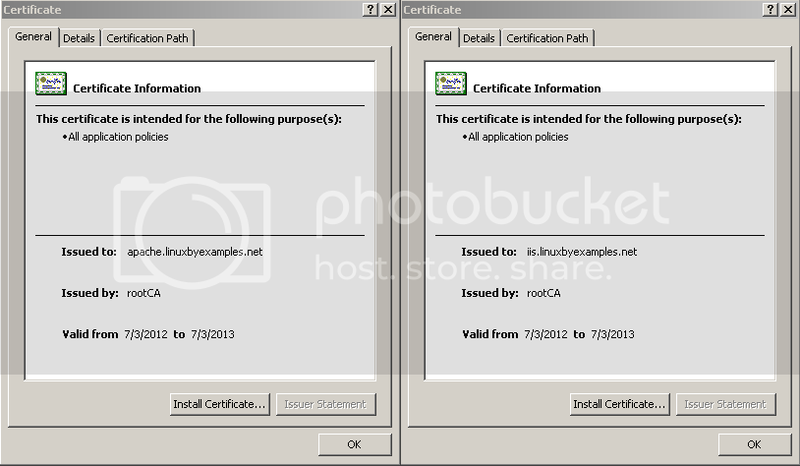 Copy the file Client.pfx and rootCA.cert to the Client. Click to import the Client.pfx file. Let's connect again to the webserver. 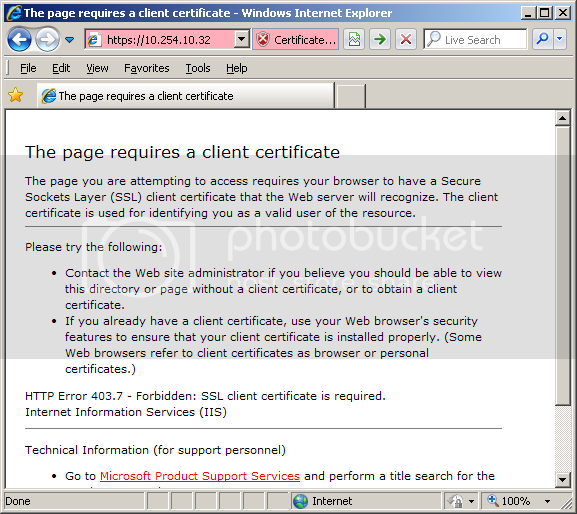 This time, IE will pop-up a window with client certificate info as server required. Press View Certificate ... for seeing the certificate detail. 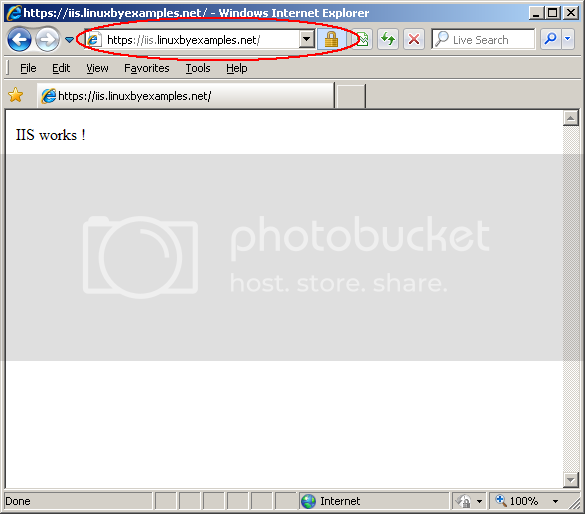 Change the IP address to DomainName and it will work like a charm. 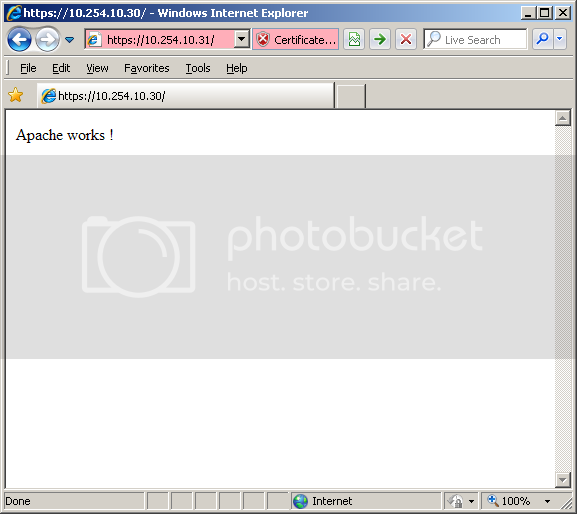 Get the same result with IIS server. So, if anyone want to access the webserver, they must use the appropriate Certificate (signed by rootCA in this case for example). You can use this way combine with username/password to make more security factors. 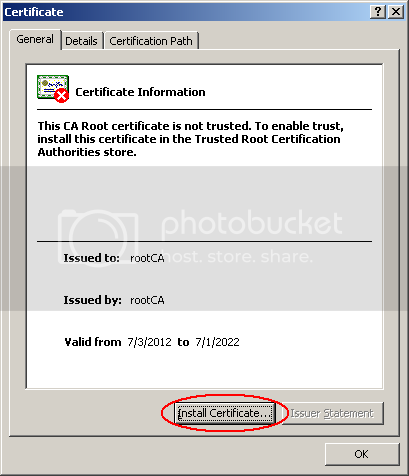 The Apache Server used Certificate signed by rootCA, and it does required client certificate. 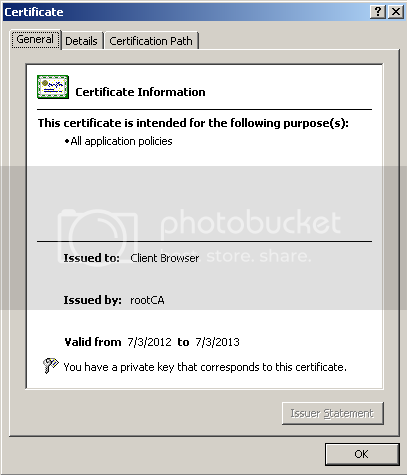 The IIS Server used Certificate signed by rootCA, and it does required client certificate. 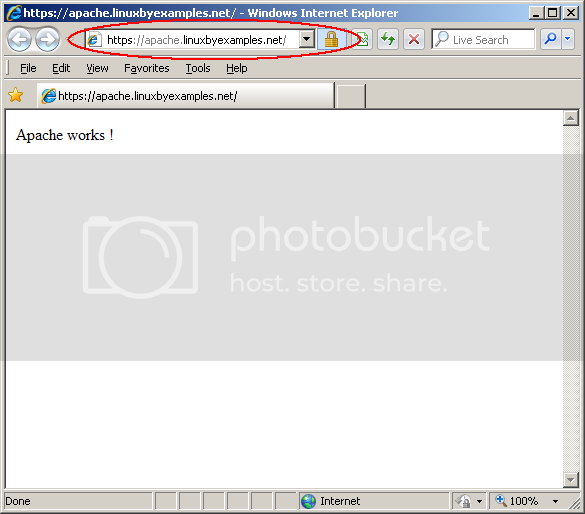 Some Apps do require client or server SSL v3 for Security reason.